This image is of one of the streetcars in the car barn at the Western Railway Museum just outside of Fairfield, California. I shot this image using my iPhone 5 – and post-processed it totally on the iPhone using the Dramatic B&W application. When I took the shot, I got lucky to be able to light up the headlamp of the camp – thanks to a reflection of natural light coming in from the far right. 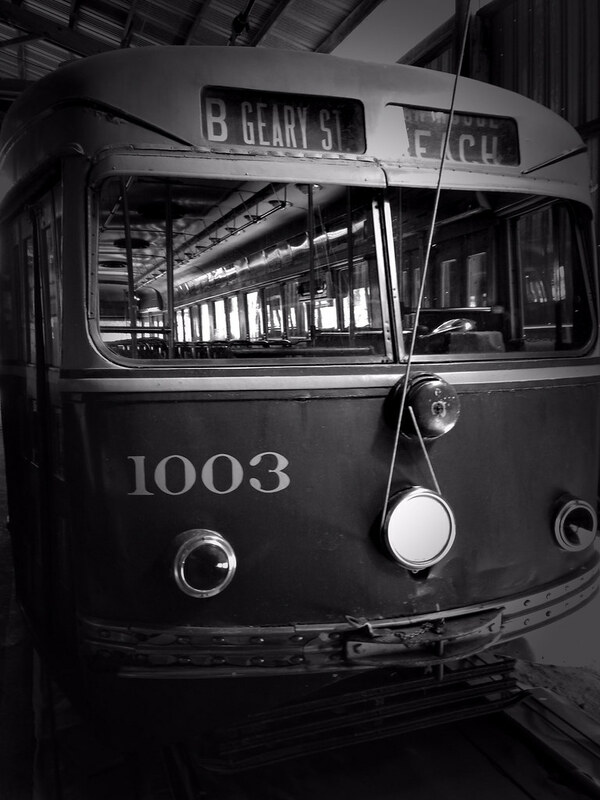 That light in the headlamp makes this shot – without it, it’d just be another streetcar image!